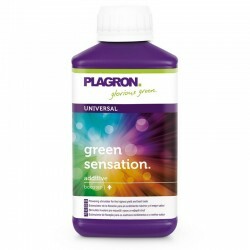 Plagron Hydro A&B is a highly concentrated mineral basic plant food for use during the plants growth and flowering phase. 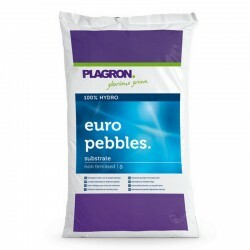 This unique liquid fertiliser contains all the trace elements in a high-quality chelated form (DTPA). 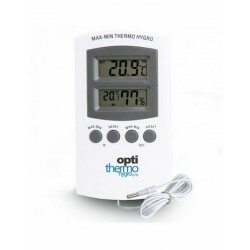 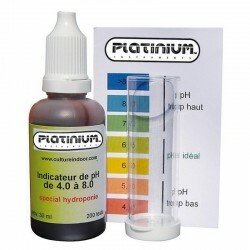 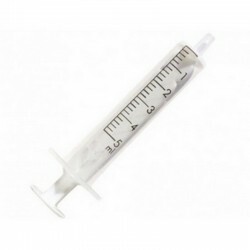 This allows the plant to develop optimally even if the pH value is not ideal or the substrate temperature is too low. 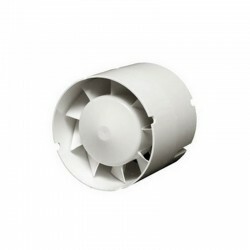 It can be used in all types of inert substrates. 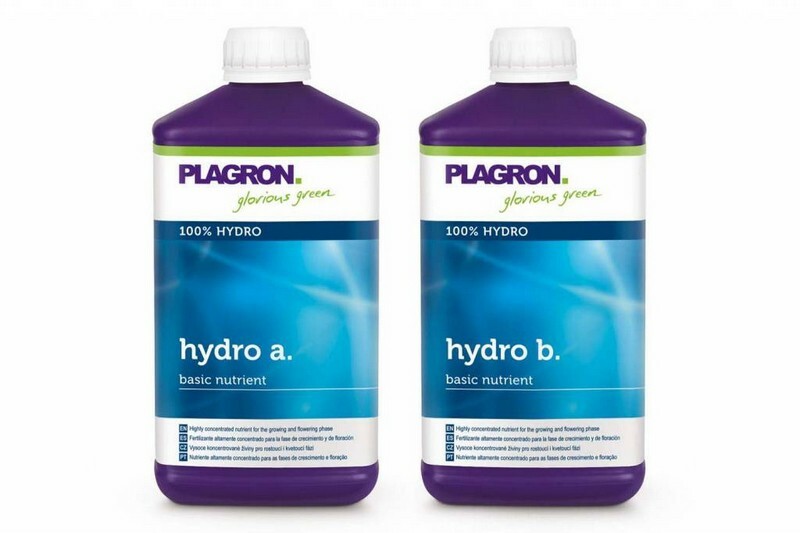 Add a maximum of 1.6 ml Hydro A or B per 1 litre of water (1:625). 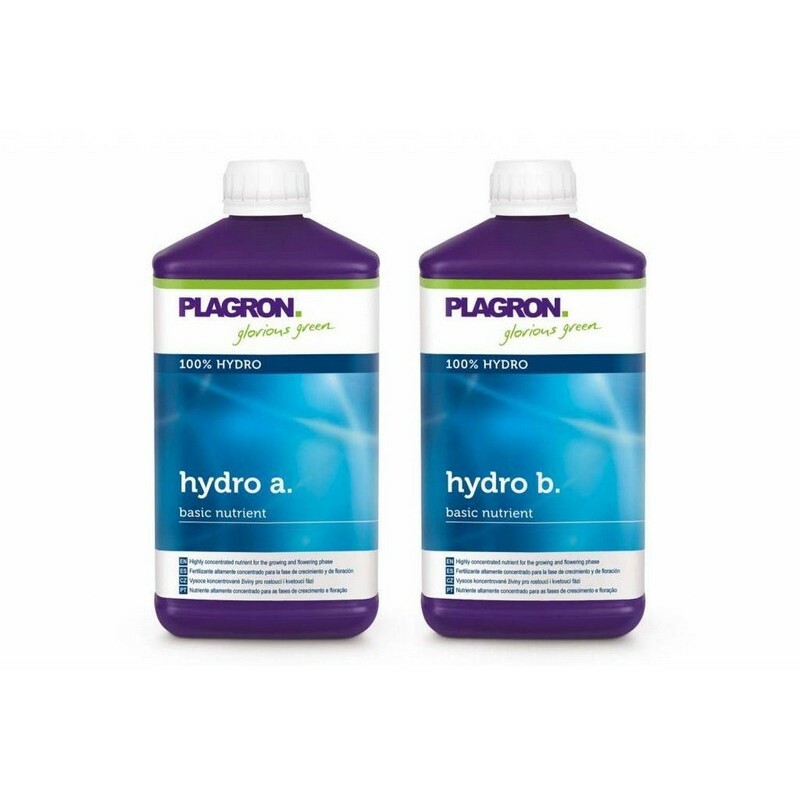 With every application of Hydro A use the same quantity of Hydro B. 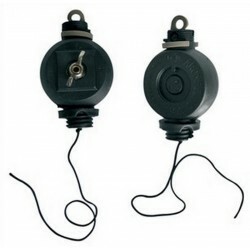 Use this solution each time the plants are irrigated.